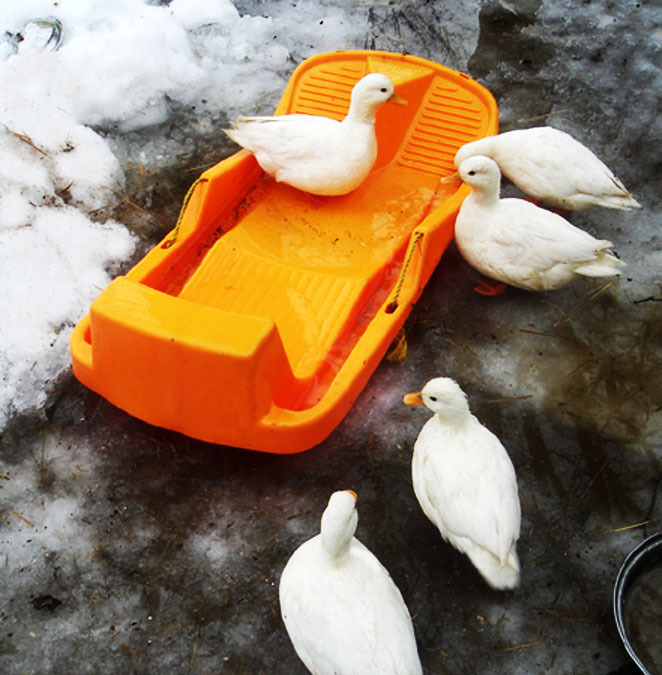 This entry was posted in Uncategorized and tagged bantam duck, call duck, sleigh ride, white duck. Bookmark the permalink. Ducks are so funny. I have ducks for the first time this year. I had no idea how winter hardy they are. I’m not sure mine would take to a sleigh ride though. 🙂 Happy Holidays! Ducks ARE funny! That’s what I really love about them, their playfulness. Well, that, and their cobby yet sleek shapes! Especially Call Ducks, which is what mine are. The ideal form for the Call is to be shaped like a raindrop.